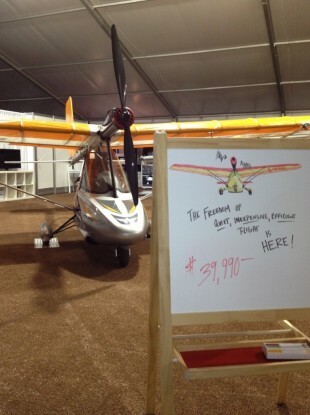 An American company is offering what they claim is the world’s first electric aircraft. But hurry! Only 25 are going to be sold in Europe. WHILE GETTING PEOPLE into electric cars has proved to be a problem, an electric plane is hoping to be a bit different. The eSpyder is a lightweight single-seater aircraft that runs entirely on an electric engine, meaning that it is much quieter than other microlights. The plane is made by GreenWing International in OshKosh, Wisconsin and company spokesman Eric Bartsch says that the product could be revolutionary. “The electric flying revolution is here and we are excited to be able to bring the dream of quiet, smooth, clean electric flight to pilots around the world,” he said. However, if you and your spare €35,000 are anxious to take to skies in a quiet, environmentally-friendly manner, you’d better order quickly. The company says that they’re only taking 50 orders in total, 25 in the US and 25 in Europe. Also, the plane itself is quite slow (It tops out at 68 mph) and it only has a 1.5 hour battery life, but it’s a little electric plane that costs as much as a Mini Cooper. And that is just cool. Email “Own an electric plane - for just €35,000”. Feedback on “Own an electric plane - for just €35,000”.